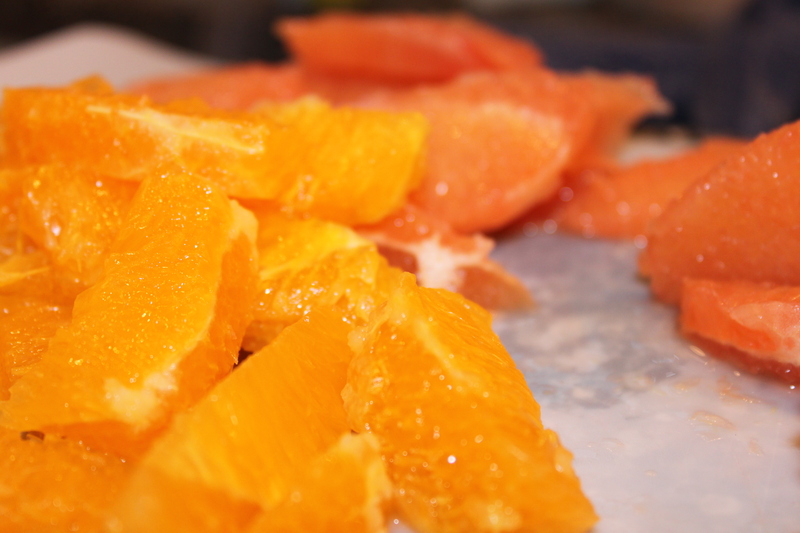 I only used one grapefruit and one modest-sized orange, cut off the peel and pith, then cut into segments. I also diced one avocado to add to the mix. Toss well in a bowl with lettuce and there it is. 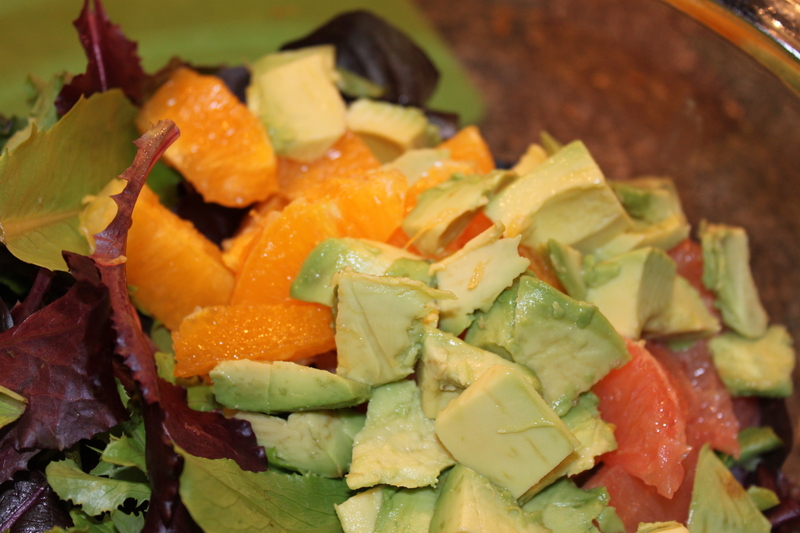 Portion: This salad was the perfect size to generously accompany dinner for the 3 of us. Taste: All of the fruit was perfectly ripe and had great flavor. My dad loved the fresh natural flavors but I ended up putting cracked pepper on my portion and wished it had had just a little more zip. Repeat: For sure. Great for summer. Easy to make. Embellishments: Some sliced almonds for crunch? 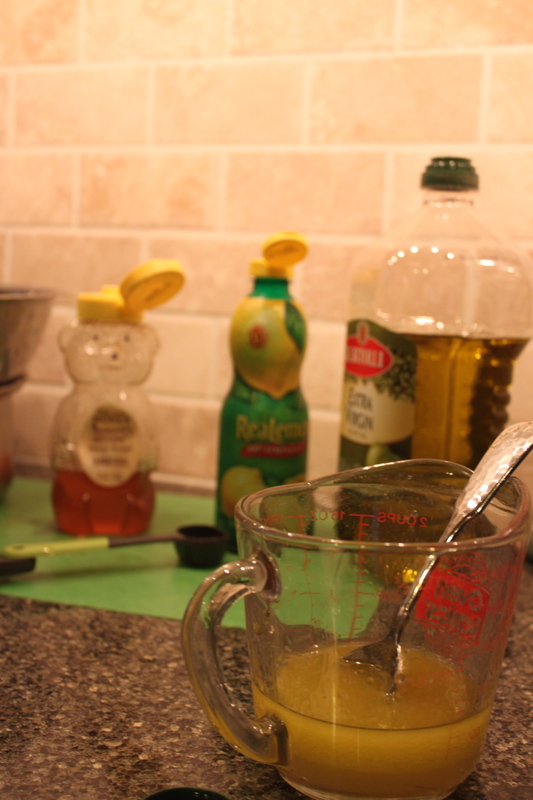 Add some spices to the dressing/less honey/more lemon juice? Other ideas? Let me know!